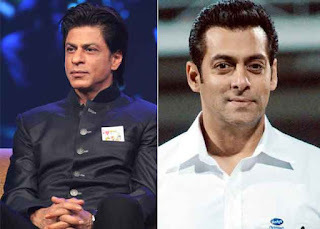 Salman to replace SRK in Karan Johar’s Kalank? Rumor has it that Super Star Salman Khan is likely to replace Bollywood Baadshah Shahrukh Khan in Karan Johar’s upcoming venture Kalank. Hrithik Roshan or Ranveer Singh may likely to play the lead in place of SRK, but as per the latest reports, we hear that Karan Johar has approached Salman Khan for Kalank, and the latter has given his nod. If everything goes well, Salman Khan will finally be working with director Karan Johar after ‘Kuch Kuch Hota Hai’ for Kalank to be directed by ‘2 States’ director Abhishek Varman. Kalank touted to be a partition based dramatic love story is Kjo’s dream project. Salman Khan is gearing up for the release of Prem Ratan Dhan Payo, slated for a massive scale release on 12th November 2015.